A long time ago a beast was set loose in the world and a group of heroes set out to deal with it. After the beast was slain they formed a council to make sure there will not be another beast coming to the lands. The council has an armed force, called the arbiters, who take care of the daily matters for the council. 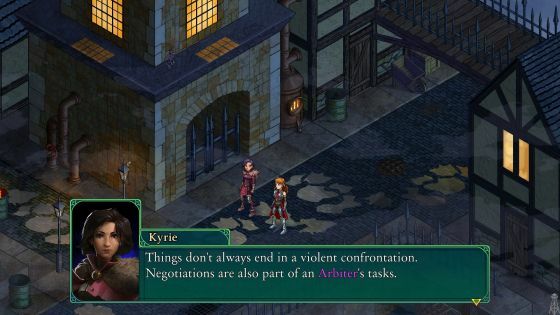 The character we get to play in Fell Seal: Arbiter's Mask is one such arbiter. During the game more information will be discovered about what is actually happening in the world. Although the graphics in the game might be somewhat cartoony, the story is actually quite mature, in the sense that it is not targeted to young people but to adults. With this they mean that the complexity of the story is such that it is not for children. It is not that they use foul language or use adult themes. The game is story driven and uses pre-made story characters that can be part of your team, but you can create your own characters as well. There are a total of 30 classes to choose from. Consisting of 20 base classes, a few classes that are story character classes and 6 secret classes that can only be accessed through crafting or finding a special item and are only available to non-story characters. Although the game is story driven, it is rather linear as far as the story is concerned. The replayability of the game does therefore not come from the story but from the multitude of classes and the different ways to play the game because of that, which would then predominantly be about combat options. 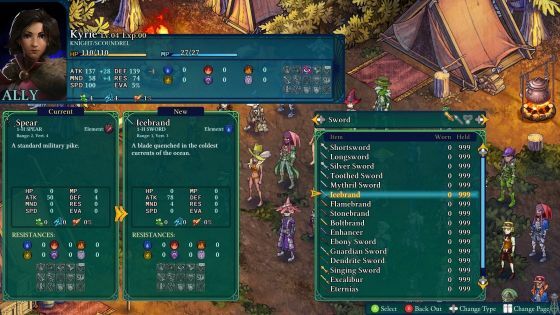 You start with the main character, who is basically always present in interactions with others and in combat, but you can select the other characters, unless specific story characters are mandatory. In a few optional battles you can select any character you want. You can play with a maximum of 6 characters at the same time. Each of the classes have 10 abilities, with over 200 different abilities divided over the classes. This makes each of the classes a unique class. Most classes have two passive abilities, one counter ability and seven active abilities. You cannot upgrade abilities, but you learn abilities by means of a skill tree. You start with 1 ability and when you advance you can increase that ability or learn another. The class of your character also determines what armor the character can or cannot wear and what type of weapons it can use. There are some 15 types of weapons available, with for each weapon about 10 different instances, totaling to about 150 weapons. All classes will end up being a unique class by means of the combination of abilities, stats and equipment. Once you have chosen a class for a character it does not mean that character needs to be in that class always. 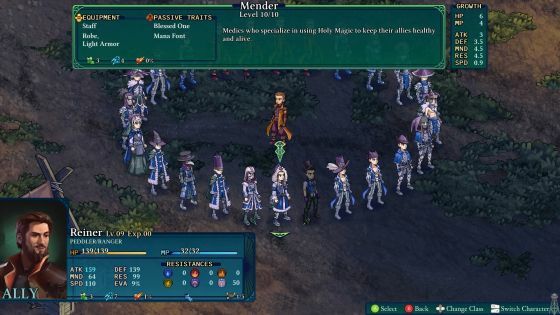 During the game you have the option to change the class of a character and could also select the class it had before as a subclass, further specializing the character in a certain way. There is also a wide range of customization options available for changing the looks of your character, including the ability to upload your own portraits. Next to that, the game is modable in the sense that you can define and add your own classes and abilities. You can also create your own battles and encounters. Several other options can be modified as well, using the standard user interface of the game. Next to that there is also a file that allows you to modify the behavior of the game, like what buffs and debuffs can or can't do. I was given the option to play the game with a controller or a mouse and keyboard. I tried the mouse and keyboard, but was given the response that a controller interface worked better. It turned out that it is quite operational with a mouse and keyboard though. The camera in the game is fixed, with the characters being sprites on a pre-rendered background. You don't actually need to walk anywhere (unless you are in combat). 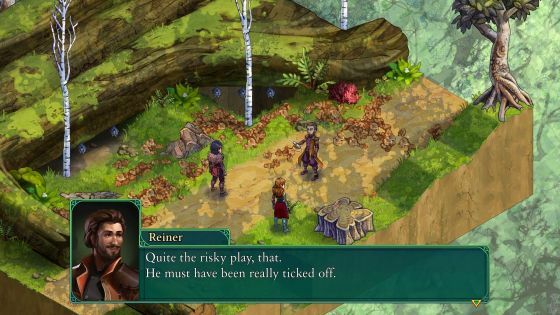 The game shows an interaction between the main and other characters, advancing the story. You get some options here and there that allows you to do things differently, but they have little to no impact on the story. Once completed you get to the next scene, which in my case was a battle. It is also possible to open the map and move to a position on the map. You instantly go there and enter a new interaction or a combat. During the game music is heard, which has been composed by Jan Morgenstern. When you encounter a combat situation you place each of the characters on one of the available 6 squares at one of the sides of the field. Once placed you have the option to change the character and exchange it for a character of a different class and different abilities. It is possible in this phase to also investigate the stats of your opponents and define your party accordingly, resulting in a party you think is best suited for the task. Once combat starts you can move where you want and perform an attack or defense action. The turn ends with you positioning your character in the right direction, as attacking from the side or back does more damage, so it is best to position the character in such a way, to limit these types of attacks as much as possible. 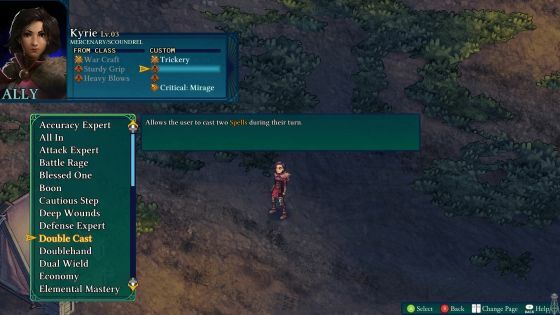 As mentioned, at each turn you have the option to move, use a weapon, a skill or an item from the inventory. For example the skill Forceful Strike makes it possible to push someone 1 position and it does more damage than would be accomplished with a normal attack. If the character is in front of a wall, using this skill will result in the opponent hitting the wall, which will inflict even more damage. It is even possible to push someone off a cliff, which does a lot of damage or push it against another character doing damage to both. There are various attack skills, but also defensive and healing skills. Some of the items you have in your inventory can also be used in a battle, like a rock that can be thrown. These items come in certain amounts. You can use these items in your current battle until they are all gone, but they will replenish automatically before the next battle starts, so you start with the same amount of items again that you can use in combat. This prevents the necessity for hoarding items. The battles can be quite tactical. Especially with many opponents, you need to determine who will be attacking who and what classes you will use in that process, but there are also events in combat you have to be aware of. Like in one of the combats there was a hatch door leading to a cellar. At the start of the battle there was a warning that someone should stand on that door, because otherwise more enemies would come through. If you don't, two extra enemies will pop-up during combat. If you do, they don't. The game has friendly fire, so you have to take care of those actions that include your own characters, that applies to both AOE skills as well as ranged attacks. The game indicates this by means of arrows, so you should maneuver in such a way that you can exclude your own characters before attacking your opponents. If you are someone who likes challenging turn-based combats and/or likes to fiddle with the classes and abilities of your characters this might be a game for you. If you are all about exploration and choice & consequences then this game might not fit you very well. But if you do like it, you can spent loads of time with the game, especially as it is so easily modable with new combat areas being added. 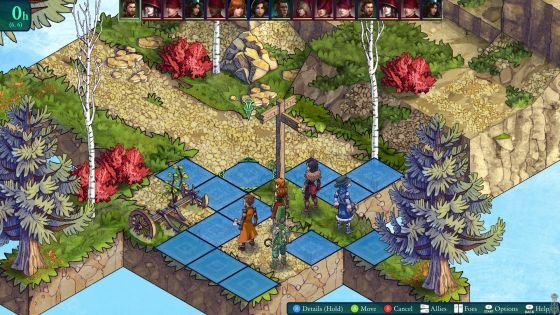 Fell Seal: Arbiter's Mask is in Early Access right now. 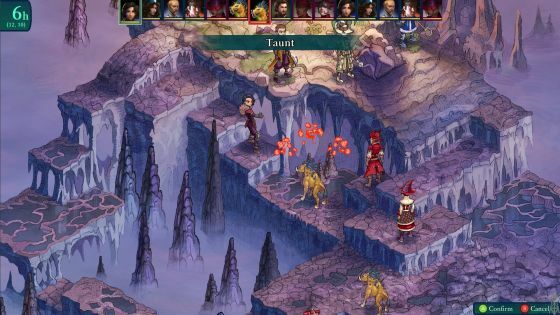 The reason they have taken this path is because their resources are limited, given that they are currently a team of two and they are looking to receive extra feedback to the game, so they can focus on the essential parts that make it the best tactical RPG they can make. Note that upon release, the game will be more expensive than during Early Access. The estimated release date is the end of Q1 2019 on PC (Windows, Mac and Linux), PS4 and Xbox One.